What you do with your body determines how you feel. How you feel in your body influences how you experience the world. Are your movement patterns the most effective/efficient way to do a specific action or simply the way you are familiar with? A good clue to go by - is do you get fatigued/sore? When moving restores and enlivens you and feels really easy and fluid, that’s when it’s well organised/orchestrated. Feldenkrais is a process of improving the quality of how you do things. It explores how every movement can be supported and connected throughout your whole body. Distributing the load throughout your system takes strain off individual sections like sore knees or a stiff neck. We don’t preach one ‘correct’ way to imitate, we’re interested in giving you many different ways of doing each action and teaching you how to discern what feels best for you; what action is best for what scenario. ​We develop this aptitude in Awareness Through Movement classes by creating lots of different movement experiences for your nervous system to use as a reference for comparing and contrasting. How can you know that you always stand with the weight on the back of your heels, you until you experience standing with weight more through the front of your feet? Discovering that as an unfamiliar experience helps you recalibrate where the middle of your foot might be and how the rest of your body has to stack up differently above that change in the weight through your feet. Being in the middle is what allows you to move equally in all directions, the ideal that we’re aiming for – restoring your full movement potential of having multiple motions available to you. 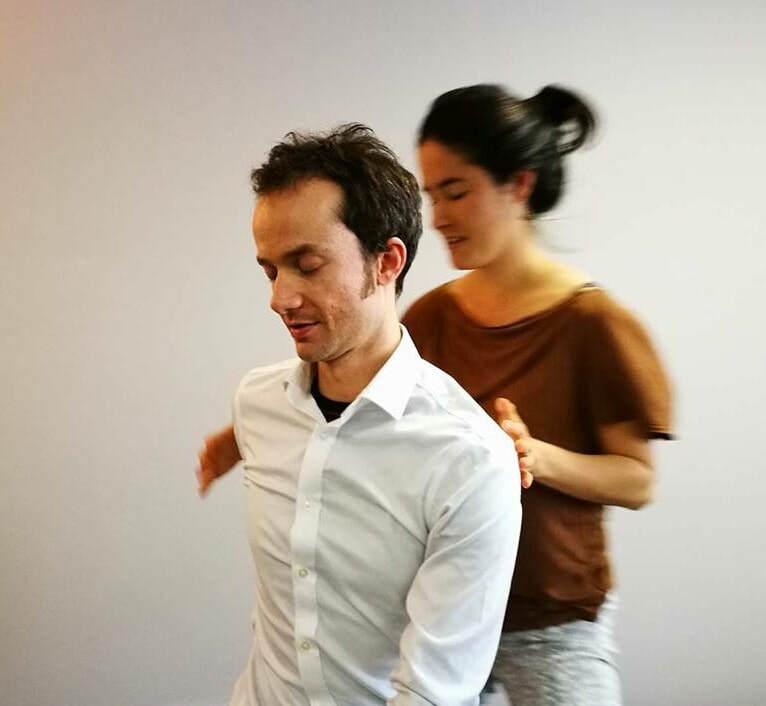 ​We also work one-on-one in Functional Integration sessions to explore your personal movement habits in relation to an action you’d like to improve. How to sit without getting sore, how to settle in bed for a more restful night’s sleep, maybe it’s about walking down hill or the position of your arm when you play guitar, or feeling more flexible or less anxious/agitated in particular situations. The beauty of working one-on-one is it’s entirely tailored to you, finding specific strategies you can use. What would you like to improve? Feldenkrais is for finding how you can go about it; how life can get simpler and you can feel more centred, connected and capable. Come to class or book a Functional Integration session with Shona.